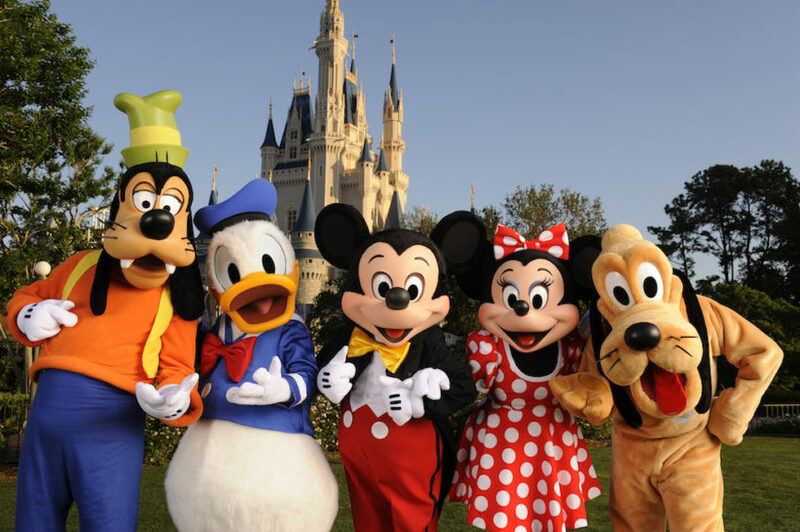 (by May Bulman, UK Independent, April 6) – A father who refused to pay a £120 fine after taking his daughter to Disney World during term time has lost his legal battle at the Supreme Court. Jon Platt was prosecuted by the Isle of Wight Council after he refused to pay a penalty for taking his daughter on a seven-day family trip to Florida in April 2015 without the school’s permission. Local magistrates initially found there was no case to answer, and two High Court judges in London later upheld the decision, declaring Mr Platt was not acting unlawfully because his daughter had a good overall attendance record of over 90 per cent. But judges ruled on Thursday that regular attendance had to be in keeping with rules of the school, after the council urged that it raised important issues over what constitutes “regular attendance” at school. They said the magistrates should take into account the “wider picture” of the child’s attendance record outside of the dates she was absent on the holiday. The ruling rejects Mr Platt’s argument that despite missing a week of school for a holiday, his daughter had regularly attended school over the course of the year, with the justices saying said parents would have to comply with the rules set by schools and education authorities. In her judgment, Lady Hale said that if parents were able to withdraw children whenever they wanted there would be an unacceptably “disruptive effect” on lessons. Following the judgment, Mr Platt said the ruling had reversed “decades of judicial precedent” in a move he described as “shocking”, adding that it meant a child being a minute late to school “is now a criminal offence”. “The Supreme Court has just reversed decades of judicial precedent. They didn’t just say that the High Court judge who heard my case… misinterpreted the law, they have concluded that the earlier High Court decision from 2006 and one from 1969 were also wrong in their interpretation of the law,” Mr Platt said. “Be in no doubt, despite the judgment, I followed the law precisely laid down and interpreted by High Court judges in two separate cases. They told me that to attend ‘regularly’ was to attend very frequently. “So I decided not to pay a £60 penalty notice because my daughter had otherwise perfect attendance at school. With this judgment those precedents have been swept away and the consequences can only be described as shocking. Gillian Graveson, partner at Birchall Blackburn Law and head of family law for the firm’s seven offices said the ruling was significant, commenting: “While I am not surprised at today’s ruling, as a parent myself I think a common-sense approach should be applied. “This ruling makes it clear that if a parent refuses to pay a fine for allowing their child to be absent from school without permission even for a single day, they could face a prosecution. This will affect parents across the country, many who have already made holiday bookings. (by Nick Squires, UK Telegraph, April 5) – Cooking may be a national passion, but Italians who allow the pungent aroma of a simmering pot of pasta sauce or a vat of deep fried fish to waft into a neighbour’s home are committing a crime, the country’s highest court has ruled. In the best traditions of legalese the world over, the Court of Cassation in Rome even came up with a term for the offence – “olfactory molestation”. 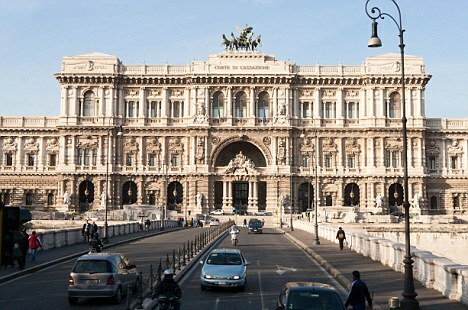 The Italian Supreme Court of Cassation is the highest court of Italy. The ruling emerged from a long-running battle between neighbours in an apartment block in the town of Monfalcone on the Adriatic coast, close to the border with Slovenia. Residents complained about a married couple in their block cooking up vats of rich pasta sauces and “fritti misti” or mixed fried seafood, a dish that is as beloved to Italians as fish and chips are to the British. The squabble first ended up in a court in the town of Gorizia, where the couple who cooked the offending food were found guilty of anti-social behaviour. They appealed to a higher court in the nearby city of Trieste, which in turn upheld the sentence. Not content with that decision, they then took the case all the way to the Court of Cassation in Rome, which after much deliberation upheld the rulings of the two lower courts. The judges in Rome said the couple’s enthusiastic cooking resulted in “the emission of odours and noises in the overhead apartment on the third floor,” owned by another couple. The smells were so strong that they were “beyond the limits of tolerability” and constituted what the court called “olfactory molestation”. The Court of Cassation dismissed the offending couple’s earlier appeals and ordered them to pay a fine of 2,000 euros. Disputes over cooking smells are frequent in apartment blocks, said Matteo Santini, a lawyer who specializes in quarrels between neighbours. Some claim compensation for having to move residence, while others claim they suffer depression and even psychological trauma from the waft of cooking odours. “The courts have to strike the right balance (between people creating the smells and those complaining about them). There was a man who wanted to prosecute his neighbour because she cooked chicken soup at eight in the morning,” Mr Santini told La Repubblica newspaper. One reason for the increase in complaints was Italy’s growing immigrant population, with Italians objecting to the aroma of “exotic” foods such as curries and stir fries heavy on garlic. Restaurants that produce strong cooking smells have been ordered to install better extraction fans and flues after neighbours in apartments above took them to court.